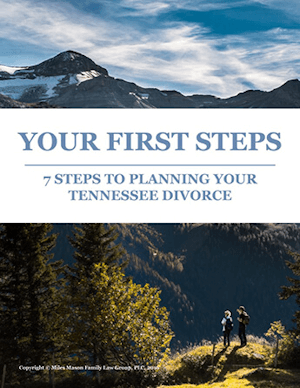 Tennessee divorce laws on retirement assets: pension, 401(k), IRA, QDRO, separate interests, classification of marital and separate property, government, & military. Do you know how your retirement might be affected by Tennessee divorce law? In divorce, the marital portion of any pension, 401(k), or IRA is a divisible asset. I’m not talking about Social Security. Social Security retirement benefits are not typically considered as marital property by Tennessee courts and can’t be divided or altered by divorce. All other retirement assets could be divided, depending upon whether they’re marital property or not. That includes government pensions, military retired pay, 401(k)s, and individual retirement arrangements. Hi. My name is Miles Mason. I’m a divorce attorney and Certified Public Accountant. 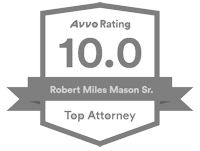 My law firm represents clients in the greater Memphis, Collierville, Germantown, Eads, and Bartlett, Tennessee areas. 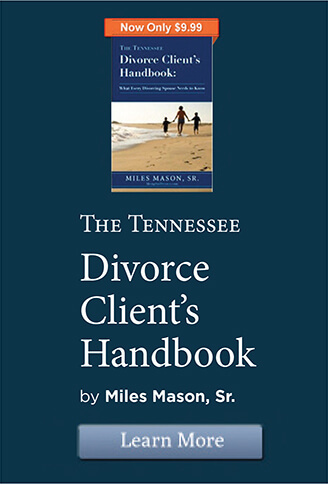 In today’s talk, I’ll explain how pensions and retirement accounts are divided in Tennessee divorce law. It’s an important topic. Most working spouses have their own retirement, although seldom equal in value. If marital property, both spouses’ retirement must be equitably divided in divorce. Along with the marital home, retirement plans and pensions typically represent the spouses’ greatest assets. In many divorces, retirement plans represent more than 75% of the spouses’ net assets. Division of a pension, 401(k), or IRA can have a substantial impact on each spouse’s financial security later in life. It can necessitate restructuring and rebuilding diminished assets. It can mean delaying retirement. It can mean a leaner future. For mature spouses, those at or near retirement age, the consequences of a divided pension will be felt immediately. Reduced financial resources require a scaled-back lifestyle. Younger spouses still have many working years ahead of them. They have the luxury of rebuilding pensions and retirement accounts. But full retirement may still have to be delayed. For the spouse who’s already retired, there’s probably no reasonable way to recover through employment. Of course, age, health, education, and work history have a lot to do with a person’s options. First. How to identify retirement assets and pensions. Second. How retirement assets are classified as marital property or separate property. Third. How retirement assets are valued. And Fourth. How retirement assets are equitably divided. This process of identification, classification, valuation, and division of retirement assets is not optional, it’s required. First. Identifying pensions and retirement assets. On pensions. A spouse’s pension is deferred compensation through the employer. Every job the spouse ever held before and during the marriage could potentially give rise to retirement assets. At the time of divorce, one or both spouses may already be receiving pensions payments. That doesn’t mean it’s the only retirement asset. Keep looking. There may be closed retirement accounts, too. You need to identify those as well, in case they’re not really closed. Pensions may be vested at the time of the divorce, or non-vested. A non-vested plan means the employee-spouse hasn’t put in enough years of creditable service to receive benefits. Maybe the spouse worked there 4 years, but vesting requires employment for 5 years. It’s contingent, but it’s still an asset. Whether vested or non-vested, the marital portion of any pension is subject to division in a Tennessee divorce. There are two categories of pensions. Defined Benefit Plans and Defined-Contribution Plans. These investments are controlled by the employer. When the employee retires, the Defined Benefit Plan pays a specified dollar amount. For example, $2,500 a month for life. Defined benefit plans include traditional pensions and annuities. With a traditional pension, payments are made regularly. They’re based on years of service, prior compensation, and other factors. An annuity is a contractual right to receive a series of payments, at regular intervals, over a period of more than one full year. Annuities can pay a fixed or variable amount. An annuity contract could have been purchased by the employee-spouse alone. Or purchased by the spouse with the employer’s help. Defined Contribution Plans are more common. • Tax-sheltered annuity plans (called 403(b) plans). • Section 457 deferred compensation plans. • Employee stock ownership plans (or ESOP). • Simple IRA and Simple 401(k) plans. • And Simplified Employee Pension plans (SEP) and SEP IRAs. A spouse’s 401(k) is an employer-sponsored retirement savings plan. The employer can match funds with the employee, at least up to a point. A 3% or 4% match is fairly typical. The spouse invests a portion of each paycheck. This is before taxes are taken out. When that spouse reaches retirement age, withdrawals from the 401(k) are taxable income. The rules for withdrawal are complex, but generally the employee must begin taking distributions by age 70½. But earlier withdrawals, say at age 59½, are not uncommon. Then there’s the Roth 401(k). If the retirement plan is a Roth 401(k), the spouse pays tax on each contribution, but isn’t taxed later when money is withdrawn. The money can compound tax-free indefinitely. You need to know that some pensions can’t be split into two separate interests. By separate interests, I mean one interest, or share, for the plan participant and one interest, or share, for the alternate payee. An experienced lawyer obtains a Summary Plan Description for each retirement asset. That summary indicates whether the plan can be split into separate interests, or not. If that’s the case, property division must be carefully considered. Deferred jurisdiction over the retirement asset or an off-set with other marital property may be necessary. In Tennessee, 2015 legislation changed how government pensions are handled in divorce. When a local government maintains a qualified retirement plan for employees – these are pensions for firefighters, police, and teachers – the pension is a divisible asset in divorce. Now a separate interest can be created for the non-employee spouse as the alternate payee. That’s if the retirement plan is marital property. Technically, the government pension must have a plan administrator and be qualified under IRC § 401 or § 403. Some retirement investments are unrelated to employment. These would be IRAs, or Individual Retirement Arrangements. Any traditional IRA or Roth IRA that is marital property is divisible in Tennessee divorce. With a traditional IRA, contributions must stop when the spouse reaches age 70½. With a Roth IRA, contributions can continue at any age. Contributions to both IRA types are tied to income. And both have IRS imposed limits. Contributions to a Roth IRA are not tax deductable. But the spouse doesn’t pay taxes on withdrawals so long as they are taken after reaching age 59½. Some or all contributions to a traditional IRA may be tax deductible, with ordinary income taxes paid on withdrawals. Second. Retirement assets must be classified as marital property or separate property. You’ll need to know the date of acquisition, which is either before or after the marriage. We have two bright line rules: First, only marital property must be divided in Tennessee divorce. Second, all retirement assets accumulated during the marriage are presumed to be marital property. That presumption is rebuttable with evidence to the contrary. Seldom are retirement assets one or the other: separate or Marital Property. There’s almost always some blurring of the lines. A simple example is the IRA that was funded both before and after the marriage. An IRA that was wholly funded before the marriage is separate property. However, appreciation of the IRA during the marriage is a marital asset. Calculating appreciation of separate property begins with the current value of the retirement asset. The current value is then reduced by its value on the date of the marriage or date of acquisition. The difference can be marital property. Other lawyers may ask a forensic accountant for help if the calculation gets complicated. Third. Valuation of retirement assets and pensions. • Tax deferral on original investment. • Tax deferral on income from an original investment. The spouse who submits the more credible evidence of value may have a serious advantage. Many spouses hire a forensic accountant to value retirement assets. This is a very smart thing to do. Forensic accountants are experts in their field. It’s not unusual for each spouse to hire a forensic accountant. Valuation methods and results can differ and often do. In a battle of the experts, the judge will determine which valuation should be used. My advice is to hire the best valuation expert you can, and begin valuations early. Early valuations set the tone for negotiations. It’s possible that your spouse will agree with your forensic accountant’s early valuation, in which case, a battle of the experts can be avoided. Even when using expert analysis, the best calculations of value are still only estimates. What you can be certain of is that the pension division process is a complex, time-consuming, and often expensive task. But under Tennessee divorce law, it must be done. • The summary plan description. • The text of the pension plan. • The most recent annual benefits statement. • And the plan administrator’s QDRO procedures and sample QDRO form. With that information you can negotiate a pension deal in the divorce. You can understand the proposal for settlement. You can follow the money. By now, you’re probably wondering, “What’s a QDRO?” This takes us our fourth and final step. Division of marital retirement assets. In Tennessee divorce law, marital retirement assets are equitably divided. Equitable means fair. It doesn’t mean equal. Property divisions are often unequal, but are typically close to a 50/50 split. Judges may begin with a 50/50 division and make adjustments, adding or reducing a spouse’s share, based on Tennessee’s property division factors. 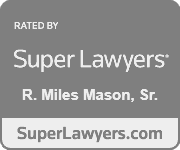 You can read about the statutory property division factors on my website, MemphisDivorce.com. But let’s focus on pension and retirement division. There are 3 ways pensions can be divided: by separate interest, by offset, and by shared interest. Separate interest divides the pension completely between the spouses. Offset leaves the entire pension in the hands of the participant spouse, while other assets of equitable value are exchanged. With shared interest, the asset isn’t divided, either. Instead, the participant receiving the pension pays the former spouse a specific amount following the beginning of the plan payout. This is called deferred distribution, or retained jurisdiction. When a pension can’t be split into separate interests, then the shared interest method is typically used. Of the 3 methods, separate interest and offset are the most common, and parties almost always benefit from creating a separate interest. Lastly, there’s the Qualified Domestic Relations Order, or QDRO. The QDRO is a court order implementing division of the retirement asset. It’s only used with divorce or legal separation. If the pension is divisible into separate interests, then the QDRO is the document that completes the property division. The QDRO orders the plan administrator to divide the participant’s pension into two separate interests. One interest for each former spouse. The QDRO can be entered as an order by the court within 30 to 90 days after entry of the final divorce decree. What if the pension isn’t divisible into separate interests? In that instance, either the offset or deferred jurisdiction method must be used. Neither of those require a QDRO. One final note about QDROs. They are very complex legal instruments. Any drafting error can be very costly. Pensions can be worth hundreds of thousands of dollars. And every pension plan has its own particulars. Don’t attempt to write your own QDRO. Leave the drafting to an attorney who’s a recognized QDRO specialist. I’m Miles Mason. Thank you for sharing this time with us.